Hello, Lovelies! We are down to the last day of my collaboration post with When Curiosity Killed The Cat. 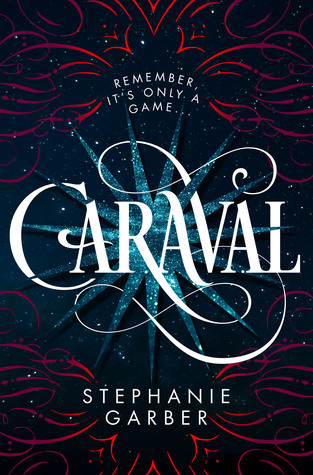 Today, I’m featuring an interview with the narrator who brilliantly performed Caraval. Please welcome Rebecca Soler! 1.What’s your favorite thing about Caraval? The game. 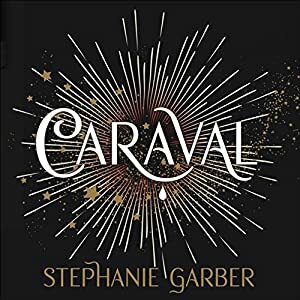 Stephanie Garber did such an incredible job of describing the world of Caraval and the danger of the game, that I was voraciously flipping pages to see more. 2. What inspired you for the voices of each character? With any narration project, I try to write down all the descriptive words or phrases that an author uses to describe each character. That lets me build a foundation of who they are, their personalities, how energetic they are, how shy, what their pacing would be, any accent, what their motivations are etc. Then I attempt to make them sound like I imagine them to be. Sometimes they remind me of someone I know or someone I’ve “heard” (aka a character in a movie etc) and I emulate that voice. For Julian I was channeling my dad’s accent. 3. If you were the one inside the book, would you rather be a player or the audience? A player! But the whole time I’d be scared out of my mind. 4. Pick anyone (can be fictional or real life) you would like to take along to the game. Ooh awesome question. After over thinking this, I am scrapping all other ideas and going with the first gut thought that popped in my head: Hermione Granger. That girl is smart and can solve a puzzle. Plus, she has magic so Master Legend wouldn’t be the only one with an unfair advantage. Second runner up: Julie Andrews, because who wouldn’t want to spend 3 days with her? (Provided I could guarantee her safety). 5. When you were recording Caraval, did anything interesting or notable happen? Actually, I had to rerecord every single time I said the world Caraval in the book. (Yes there were HUNDREDS of times I said that in the book). The publishers and I originally thought it would be pronounced more like the Spanish word for face (Cara). Especially since there are numerous Spanish words sprinkled throughout the novel. 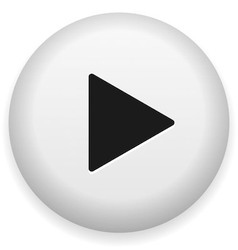 And after hearing the way that Stephanie referred to it, we re-recorded and did a more American vowel pronunciation. I always worry that will hurt the flow when you cut in words like that, but those wizards at Macmillan are amazing. It sounded great. 6. Who was your favorite character from the book? Master Legend. The first time you hear his voice when he finally responds to Scarlett’s letters, is chilling. Most of the book, he is only talked about. People describe him as dangerous, possibly evil, possibly a misunderstood person. Then the cliff hanger at the end makes you crave more one on one time with him. 7. Which part of the narration did you struggle most with? 8. Tell us a bit about the projects you’re currently working on. Right now, I am working on 2 animated series. One for Nickelodeon called Nella the Princess Night. I play the queen mom and 5 other characters. The second series is top secret project for PBS based on a beloved children’s book. So exciting. I also have been partnering with Bella Forest on her Gender Game series (super fun) and next week I record book 6. So, I am gratefully super busy. 9. Why should people read/listen to Caraval? The world that Stephanie has created is magical, dangerous, suspenseful, dark and beautiful. Word of warning, don’t start it unless you have the time to finish it in that one sitting. You will get sucked in. It’s that good. WELCOME, WELCOME, WELCOME to DAY 2 of our collaboration post. Today, we are pleased to present to you this Caraval-inspired book tag created by our joint efforts. Anyone is welcome to do this tag and enjoy answering as long as you ping us back. Today let me introduce to you a 3-day collaboration post with my best friend, Bea @WhenCuriosityKilledTheCat. You might be wondering why we’re doing this out of the blue, but we’ve both agreed that we need to break from our normal routine and post something other than pure reviews. We’ve planned on doing this earlier, but because of personal matters and other holdups, we kept pushing back our schedule. But now, finally, we can get this out of our systems. For now, we’ll start with giving our own respective reviews of Caraval. I’ll share my thoughts about its audiobook while Bea gives hers on the paperback version. Visit her at When Curiosity Killed The Cat to know what she thinks! Story-wise, Caraval has to be one of the most compelling plots I’ve ever come across. I was thrilled in a way I’ve never been, and to think I am not much of a fan of circuses and carnivals, this is really saying something indeed. Not only is it just a magical game, it’s an elaborate performance as well. My feelings got so easily tangled with its twists and turns. It feels as if I was being driven mad along with the main character Scarlett. Aside from the game, it was also fun trying to figure out the other characters, especially Julian. He makes you suspicious one moment and trusting the next. Back and forth it goes, until you can no longer decide which is real and which isn’t. Same goes for the rest. Tella surprised me the most, but it was ultimately Legend who had me wondering most of the time. I waited for his appearance to come, and when it did, I was both disappointed and not. (You’ll know what I mean when you read the story.) And Scarlett – I love how far she would go for her sister. But sometimes she drives me nuts with the marriage thing and her obsession with finding her sister. I wanted her to have fun and be more adventurous. But from her point of view, I can totally understand how this may be a little difficult. Anyway, the whole cast of characters were fantastic and memorable. I love how Garber made each one of them shine – even the minor ones. I also like the world Garber crafted for Caraval. Enchanting, magical, bizarre, whimsical and so utterly full of random surprises – it was a world that was so dizzyingly easy to lose yourself in. The descriptions were incredible to the point I can almost visualize them vividly. That’s how good Garber’s writing was. And combine all that with Soler’s narration – you have got a masterpiece. To be honest, I wasn’t really expecting Caraval to live up to its hype. I even tried to stay away from it like it’s a plague. Then one day, out of nowhere, I just decided to open its audiobook version and started listening. Ten seconds into the audiobook, I knew I had a winner. I think what really gripped me first was the childhood, dream-like quality in Soler’s voice when she was emulating Scarlett, writing her first letters to Legend. That was the only trigger I needed to keep going. I was truly amazed and enthralled by Soler’s performance. There were times when her accents slip, but then she blows me away with her soulful delivery. She made an already compelling story even more compelling; she captured the essence of each character and gave them the most suitable voice; she just —- she simply brought to life the magic of this story. As a listener, I couldn’t have asked for more.